Breakfast is my favorite meal of the day. I love to eat breakfast & I love to make it, pancakes, french toast, omelettes. I love making them all. Pancakes are definitely my favorite. I have a lot of fun with pancake art. My daughter will put in special requests & mommy will try her best to make them. We have been working on reading & writing with our daughter. She has been trying to use her letters & form words. She puts letters together just to sound them out, even if they do not form an actual word. 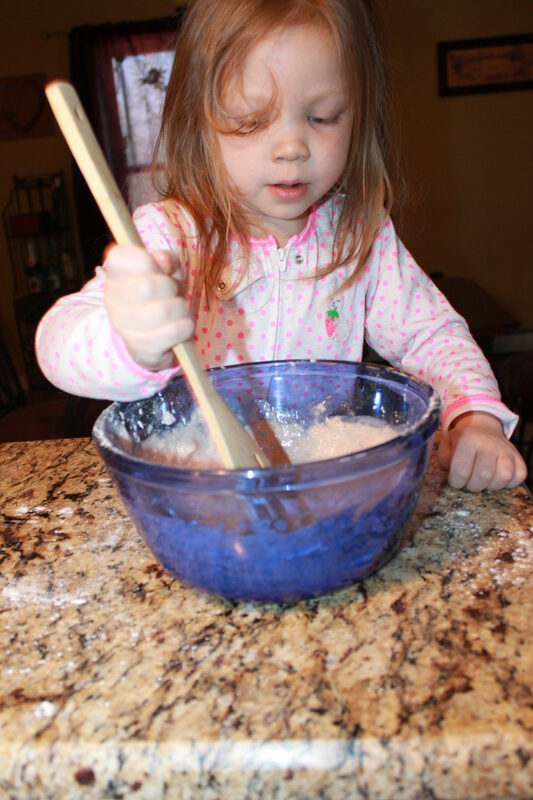 She has been working so hard that this weekend we made a special pancake treat to celebrate all the progress she has made. 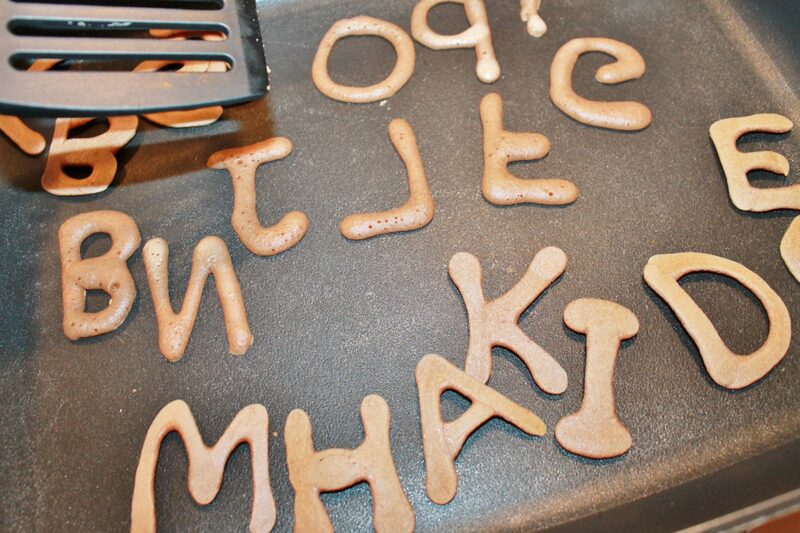 The great thing about these pancakes is that you do not need any artist skill to make them, you just need to be able to write your alphabet. We mixed up our pancakes. Directions: Mix all the ingredients together. 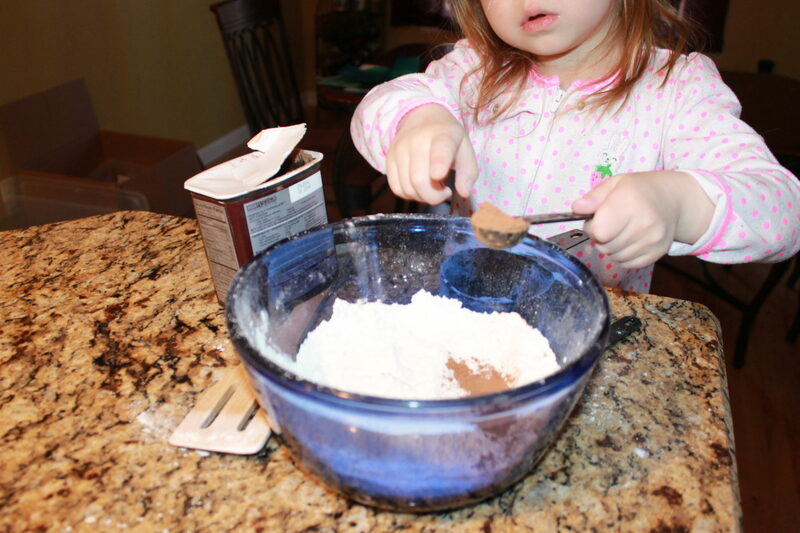 Use a blender to mix the batter to get out any clumps. Mix well. Add more milk if needed. Use the bottle to squeeze out the letters. Let bubble as usual before flipping. 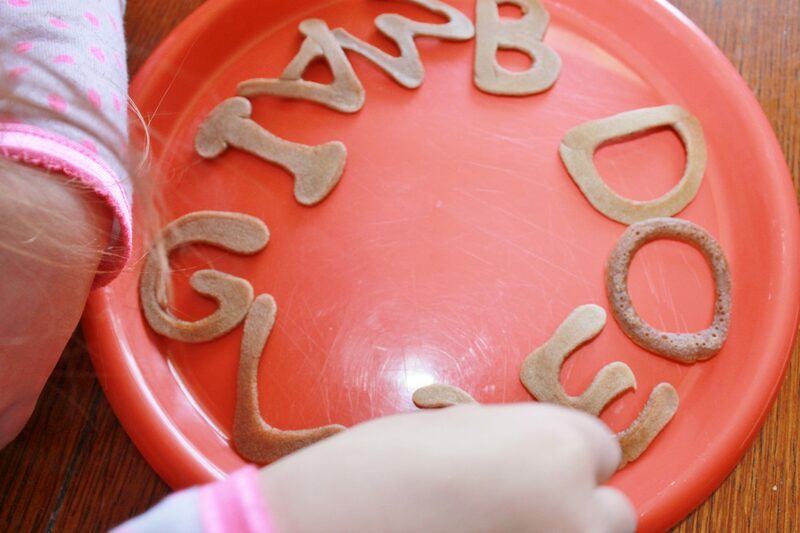 Remember that some of the letters will need to be written mirrored so that when they flip they are not backwards. If the bottle clogs, just squeeze it off to the side. If it keeps clogging, it needs to be blended more. 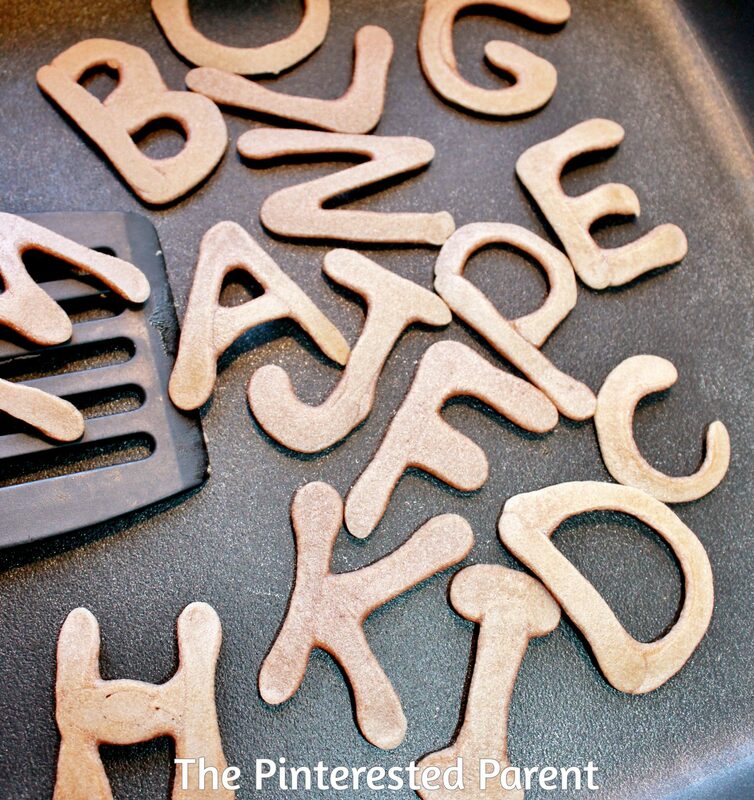 As always, they were a big hit with my pancake loving girl. She spelled out her name, dog & then our dog’s name, Duke.